Although histamine inhibitors have been used in the motility-associated vertigo, the link between histamine and sleep deprivation (SD)-induced vertigo has not been clearly demonstrated. The histamine plasma levels were assayed in the SD volunteers before SD and 24 h after SD. Pinnacle’s automated sleep deprivation system was used to establish the female C57BL/6 mice SD model. Histidine decarboxylase inhibitor 4-bromo-3-hydroxybenzoic acid (BHOA), and antihistamine diphenhydramine (DPHM) were injected intraperitoneally to test their effects on SD-induced vertigo. Rotarod tests and vestibular scores 24 and 48 h post SD were utilized to assay the vestibular function. Western blot was used to determine the expression of histidine decarboxylase (HDC) in the vestibular, and PowerChrom was utilized to quantify the concentrations of cerebrospinal fluid (CSF) histamine. SD increased plasma concentration of histamine in humans. Upregulated HDC in the vestibular and increased CSF concentration of histamine can be detected in the SD mice, indicating vestibular dysfunction which can be ameliorated by both BHOA and DPHM. 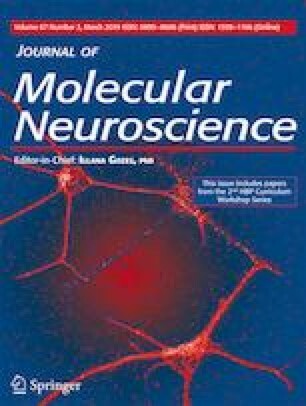 Histamine signaling inhibition may ameliorate SD-induced vertigo, and histamine can be considered as a potential treatment target. The online version of this article ( https://doi.org/10.1007/s12031-018-1244-6) contains supplementary material, which is available to authorized users. The investigation was approved by the Ethics Committee of the Second Affiliated Hospital of Jiaxing University, and all volunteers provided signed written consent forms before enrollment and agreed to the anonymous data utilization policy. The entire experimental procedure was approved by the Ethics Committee of the Second Affiliated Hospital of Jiaxing University. These authors declare that they have no conflict of interest.